Scooter used to belong to one of our neighbors, specifically to the husband. She was primarily an outdoor cat, but adored her owner. Sadly he passed away in early 2015. We noticed Scooter hanging around our property more and not looking as healthy as she once had, so I approached the wife one day and asked if I could take Scooter to the vet for her. She told me she had not seen the cat in months – basically since her husband passed – and while she was glad to hear she was still alive, she didn’t like being alone and really traveled too much now visiting children and grandchildren to properly care for her. I told her we would be glad to take over her care and let her live her life out in the community where she had lived her entire life. 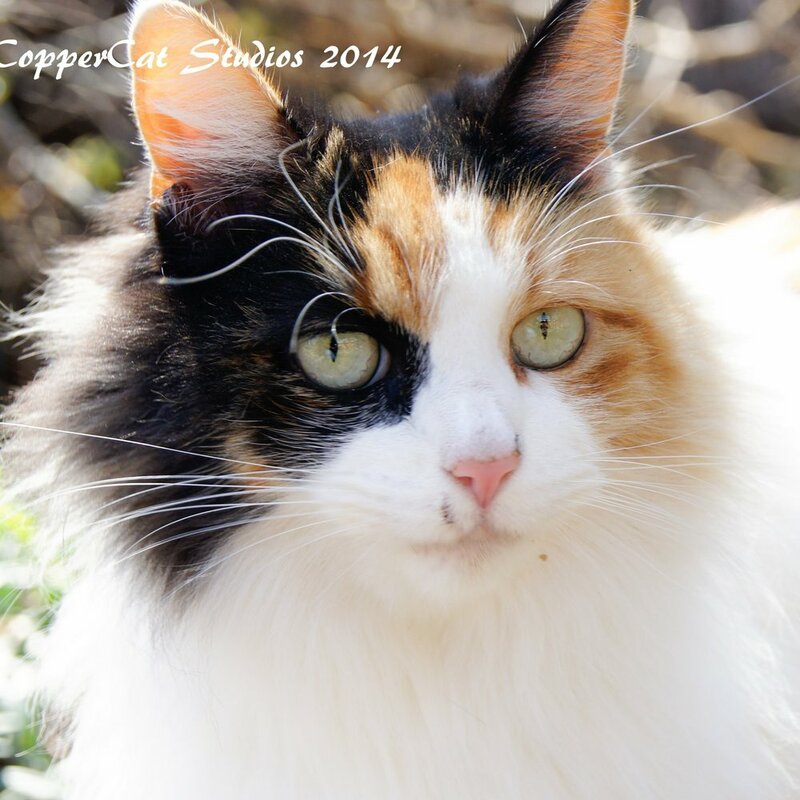 (We live in a VERY unique area, and Scooter is quite safe here – though I would never put any cat out loose intentionally, neither will I confine her away from her “home.”) She is so sweet and friendly, and what a beauty!